I am planning to travel to Tokyo by the end of this year. I have never been to Japan before. I even didn’t transfer flight in Tokyo. Many people will fly from Shanghai to Tokyo first and there are more international flights in Tokyo than in Shanghai. For example, Tokyo has direct flight to Seattle while Shanghai only has flights to SFO and I need to transit in SFO. 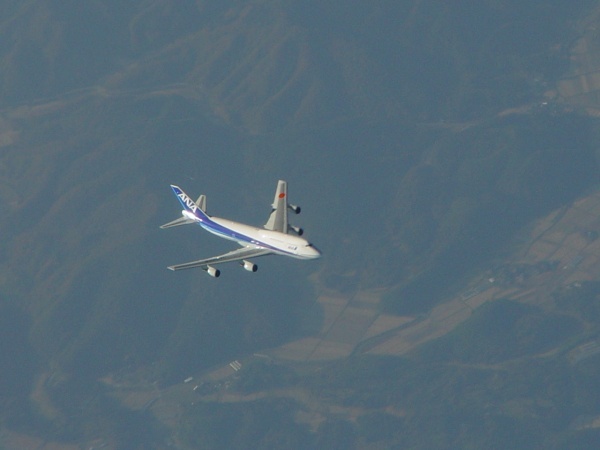 The only impression of Tokyo is some pictures I took when my flight to SFO went over Japan. I am thinking of the plan to pay a personal visit to Tokyo this December. I didn’t figure out the detailed plan yet. I just started to look for cheap flight tickets there. Based on the information I got, the cheapest round trip flight to Tokyo is 2760 RMB, from East China Airlines. I have no idea about the city yet. If you have any suggestions about the trip, please let me know. Travelling in Japan is very convenent. bus,subway and train are clean and praticle. and as a Chinese we surely have advantage. we can’t spreak the language but we can read the names of busstops and the menu. it helps alot. Tokyo ist very expensive, especially the hotels. I personally like kyoto better. It’s more traditional. the lonely planet travel book is also a good help. Both times I’ve stayed there I’ve had a high-floor room overlooking Shibuya Square, a fantastic view! I agree Japan can get expensive but the soba noodle shops at every subway station are the cheapest in town and very very good. Accomadations are expensive so if you are interested in youth hostel. The hostel in Tokyo is the best in the world I think. Very clean and you even have a privacy curtain for your bed. It is on the 18th floor of a mall. Wonderful view.o yes the best thing it is cheap. If you like Ryokan stye try Sawanoya Ryokan not cheap but not that expensive. If you are interested in either of these places let me know I will give address and website. JAPAN JAPAN yeah, love that country, hehe., sorry im emotionally attached to Japan. although never been there, but will soon. so stay tuned to hear ur story. Thanks, Art. I am interested in the hostel. It is great that there is a hostel at 18th floor. The view must be good. I am not sure about what Ryokan is though. Regarding Japan, I am more as a courious visitor instead of fan…. I just want to see with my own eyes what is going on their land. just to mind you that Japan is a different country, has different culture values, so i guess u will be amazed. oh by the way, i suggest you to take ANA as your airline to Japan, I think ANA is just the one excellent airline, excellent aircrafts, excellent services. I think you will like Japan. you will see Japan with your own eyes. they do have some good stuff and we surly can learn something. 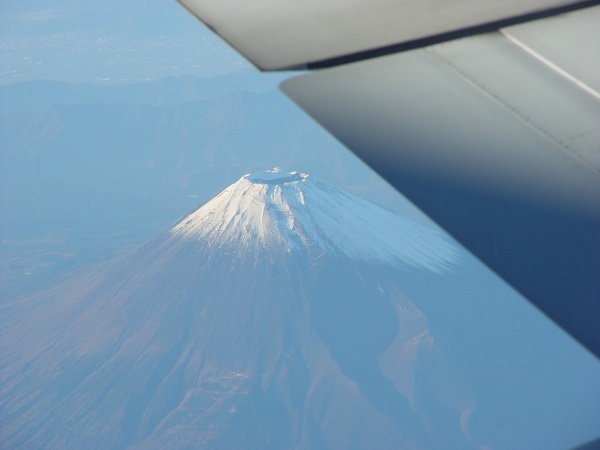 Could you apply travel visa to Japan easily these days? It used to be a tiring process. here is that info on the youth hostel. The only problem is there is a curfew like most hostels. unfortunately they really mean it. cash only. also there is a specific amount of days that you can stay at a time. example : I stayed for 5 days straight I checked out and stayed one day in a love motel and then check back in the next day. You need to call them for reservations. to find the website go to youth hostel association(YHA) and look for international hostels. The subway stop is Idabashi station. It is around the corner. 2 minutes. They even have traditonal japanese bath. The best!! Great place to meet people and be curious. any questions let me know glad to help. is it difficult to get a visa to Japan for a Chinese citizen? it is not a problem for me but i would like to go with my gf who is chinese. also HK, Seoul and Bangkok are on the list. Finally got a chance to contribute something after following your blog for over 3 months now. Tokyo is a great place to go to for a holiday, especially if you explore it on your own. Before going there, start with this link (http://www.tcvb.or.jp/en/index_en.htm) that leads to a wealth of travel information. You can plan different parts of Tokyo based on its respective attractions. When you actually get there, head for the top floors of the Tokyo Metropolitan Government Tower for a great view of Tokyo. But, most important of all, be sure to pick up the Tokyo Handy Guide and Handy Map. Then you’re all set. As for places to stay, I tried the Weekly Mansion Tokyo (http://www.wmt.co.jp/). Have to say, you’ve got a great site going. Keep it up. I stayed in Annex Turtle Hostel which is right next to the river, cost about 6000 yen a night. You only need to stay there one night though. I travel alone in Japan because I can speak a bit of the language….the Japanese are not very good with spoken English..
oh, the cheapest food you can get is to get a rice set box (bian dang) in convenient stores. It cost about 400-500 yen for a meal. And they heat it up for you. I have been to Tokyo, not really immpressed. Something like New York, but with all Asian looking people and lots of Chinese(?) logos and street names. People are nice and polite everywhere, things are expensive, you can find something less expensive in supermarket, but nowdays, what can you find in Tokey that you can not find in Shanghai? eating is cheap if you stick to 吉野家, :-), but I’d suggest try at least once the Japanese seafood, it is bloody expensive, but you won’t regret, it is something only available in Japan and real. AND, the hotspring bath!, plus the Japanese wine there! Save your cash prepared for SONY videocam or other digital gudget for this these stuff. The subway system is a mess, easily get lost, but relax, the policemen(?) are very helpful if you approach them with a your train ticket(normally they don’t speak English, so better hand in your ticket). I was guided by one policemn to one direction, he informed his colleague with his radio, so that I was picked up at another end where I was heading to sort of nowhere again, and this chain relay went on till a VERY CUTE(!!) girl picked up my ticket and helped me punch it in the machine! I went to Kyoto, and farther to Sendai and other cities, they are better place to visit. same building with Microsoft Japan office, and you can’t beat the price with Microsoft corp rate, sth like 12000YEN. I just got the news anyone who transit at Tokyo airport can stay in the city for up to three days without a visa. Is it true? > three days without a visa. Is it true? I travel to Tokyo frequently on business and try to spend some of my free time there as well to do some sightseeing and just enjoy the place. As most people have already stated it can be a very expensive experience, but there are some cheaper restaurants/japanese izakaya (grills/bars) where you can get a decent meal and drink in a great atmosphere. Traveling around is easy but again not cheap and Tokyo Metro and JR lines can get you just about anywhere and there are websites for this. YOu can buy a Suica Card for the JR Lines which is more convenient than having to buy a ticket at each station. It can be topped up at Y1000/3000 a time which will get you a few local trips in and around Tokyo. This card does not work for Tokyo Metro but JR lines cover most locations anyway and I normally get by using JR lines primarily. Cheaper accommodation can be found but the most comfortable I have found at reasonable prices are Tokyu Stay (the rooms are not made up daily though), some even have a small stove and microwave to do your own simple cooking or heating of prepacked meals. They have a washing machine so you can do your own laundry too. Website is http://www.tokyustay.co.jp/ and some of them are very conveniently located and very well priced at less than USD100 which is not bad for Tokyo. In Tokyo itself, visit Shibuya early evening and take the Hachiko Exit at Shibuya Station, the square there is amazing and there are lots of interesting people, shops and restaurants around there. Also on Sunday a must is to go down to Harajuku, one station from Shibuya and observe the dress up crowd there – something to behold!! DON”T FORGET your camera. They are usually standing along the bridge as you walk over from the station to the Park, you could spend hours there just staring and photographing something not of this world. The park itself is also beautiful for some fresh air and a good walk and the autumn colours at the moment are fantastic. If you want to experience Japanese Gay life, a trip down to Shinjuku and close to the station can be an eye opener and some places not for the faint hearted! Many establishments are open only to Asians and do not allow caucasians in. IF you like to exercise a run around the Imperial Palace which is very centrally located will give you a 5 km circuit and is great to do especially now that the weather is cooler. Even if you do not run the Palace is one of those places that you need to visit anyway if you can. Try to get out to the countryside especially in Autumn/early winter stay at a traditional ryokan. This is a Japanese style inn, where you sleep on a futon on the floor, eat in communal diners, walk around in your yukata (traditional summer kimono), and try one that has its own onsen (hot springs) something you have to experience in Japan. The cost for a cheap one will be around USD 85 to 100 but meals are included and you can use the onsen as much as you wish, you may have to pay extra if you want any additional massages etc. You can find a good place only an hour or two by train from Tokyo. One of my favourite places to be and I have lived and traveled all over Asia in the last six years. Thanks everyone about the very nice information you provided. I have printed out your comments and I guess it will help me a lot to plan my trip. Also don’t forget to get a Japan Railway Pass if you plan to go anywhere further than Tokyo, it allows you to travel on all sorts of expressed trains(including Shinkansen) for unlimited times in a certain period of time, such as a week or two. It is a real bargain considering how expensive the railway fair is. Okinawa is the place I really want to go, I didn’t get a chance to go there when I was in Japan, my only regret during my stay. Japan is a fantastic country, had the best time of my life there, wish you a lot of fun too! it will be garanteed! It is called “Shore Pass” for transiting to other countries via Tokyo, for 72 hours! But it applies only when you transfering from Tokyo to US for Chinese citizenship, not the other way around (from US via Tokyo to China). I used to use this way before. When do you plan to visit Tokyo? I want to visit as well but I would like to go at a time when it will be perhaps less expensive and less crowded if that’s possible. hello , i like to visit japan ,i will have e the time for 3 month stay so i like to manage the time travel Tokyo ,Sendai .Yokohama … around capital of japan. could you help me for make a nice and economic she dual for me please ?